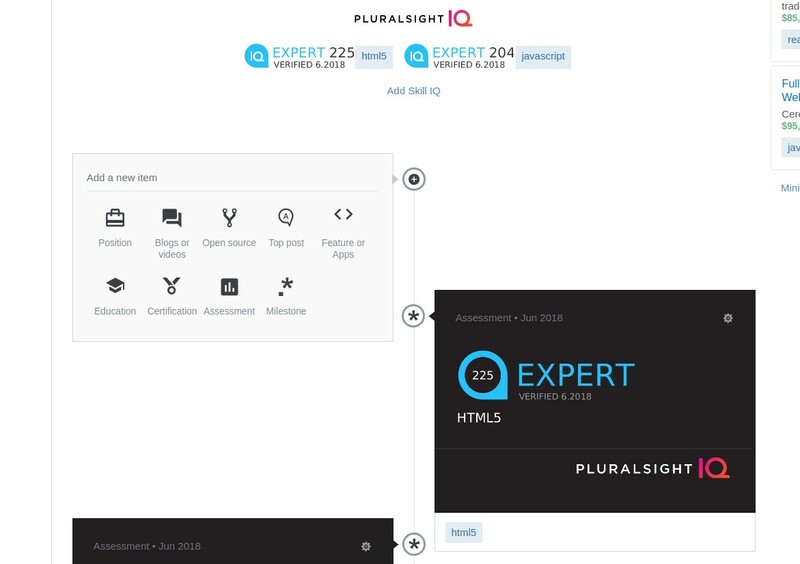 I feel that it's a bad thing that the results of Pluralsight IQ tests are displayed both at the header of my Developer Story and on my timeline. Is this duplication really necessary? It directs user attention away from other information. I think it should be deleted either from the header or the timeline. In the menu shown after hovering over the gear-icon placed in top-right corner of the "Assessment" timeline entry, there is a "delete" option but choosing it deletes the result altogether, also from the header section of Developer Story. Browse other questions tagged discussion jobs design developer-story pluralsight-iq .